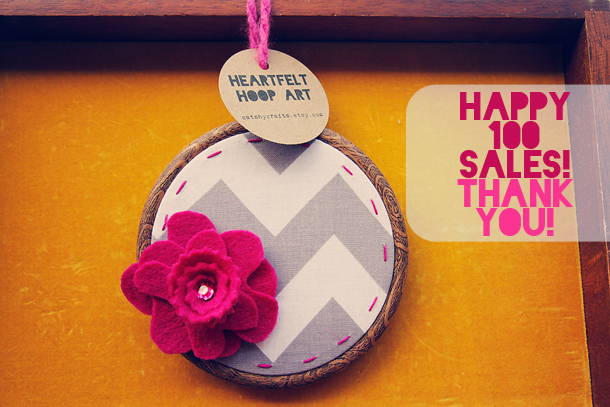 Catshy Crafts: Happy 100 Sales! Thank You So Much! Happy 100 Sales! Thank You So Much! 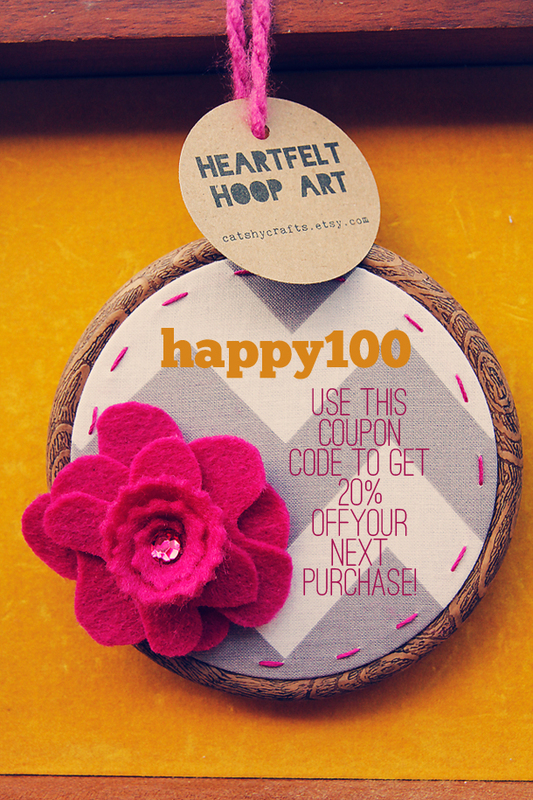 This little hoop is my 100th sale! 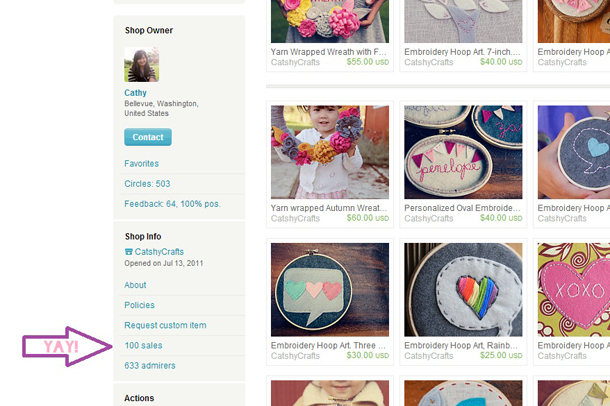 When I opened Catshy Crafts over a year ago, I never thought I'd reach 100 sales. Seriously, it seemed like such an impossible number at the time. My first sale came several months after I opened up shop. The customer was a friend of mine. 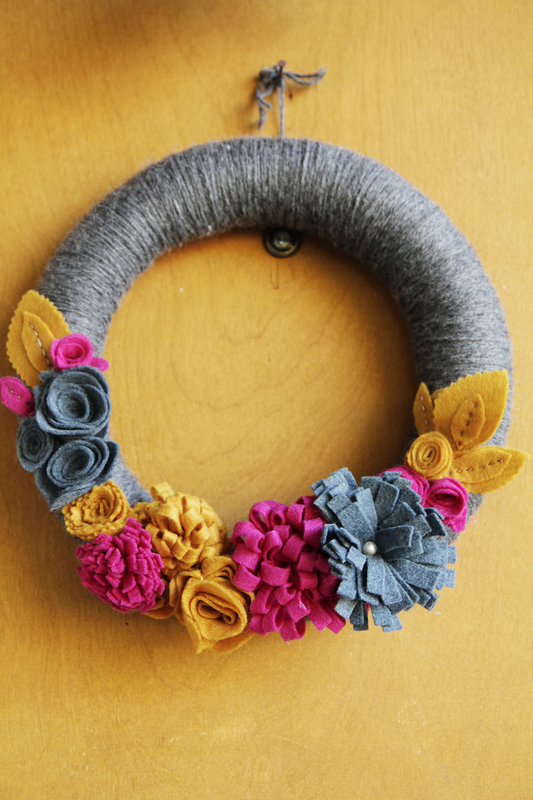 I hand-delivered her wreath. From there, it took about 11 months to make 99 more. Most of my customers are in the U.S. but I've also shipped orders to Canada, Great Britain, Germany and Singapore. By far, most of my orders have been embroidery hoop art. 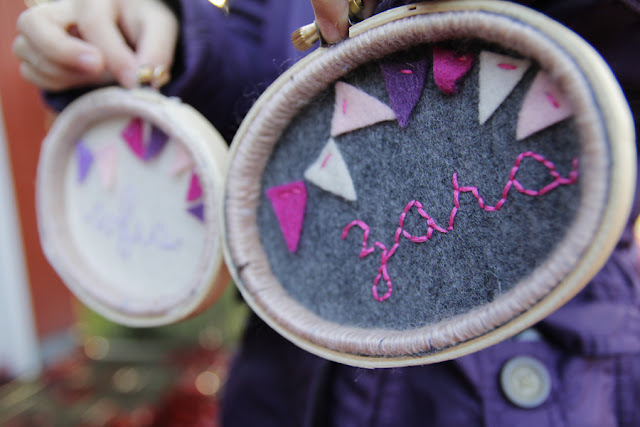 The most popular being my personalized oval one with the felt banner. An item I first made for my two daughters. My most popular wreath is the one that still hangs on my front door. And the one that my very first customer ordered. I've had slow times without any sales. And super-busy times with a long list of orders waiting to be filled. I've had super-productive times with my creative mojo flowing and not-so-productive times. 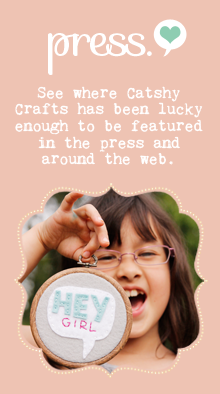 But through it all, I've enjoyed running Catshy Crafts. 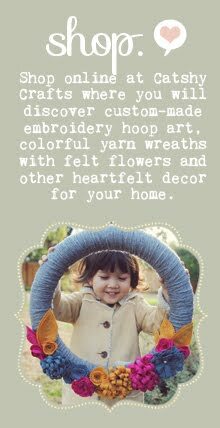 Every hoop I made was a labor of love. Every felt flower I cut and sewed together. 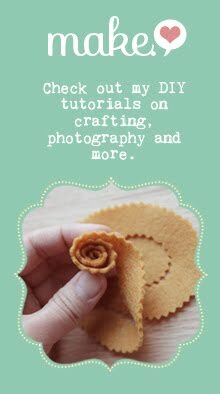 I've discovered my passion for felt. For embroidery. For the good ole needle and thread. It's been a wonderful ride so far and I am excited to see where it takes me next! As a special thank you to my customers and followers, I'd love to share the love! Use coupon code "happy100" at check-out and you will get 20% of your next purchase. This offer expires Friday, October 19, but you can use it as many times as you want until then. Congratulations on your milestone! Your work is really beautiful and I wish more sales coming your way in the future! Congrats, Cathy! You have a gorgeous shop, I'm sure you'll hit many more milestones in the future! CONGRATULATIONS!! I'm so happy you hit 100 sales! Woo! You deserve it! Here's to many many more!! Thank you Ann! I hope so too! Yay yay yay!!! Congrats Cathy!! Definitely well deserved! Love your store and your craftsmanship!